Bail for Immigration Detainees (BID), a charity that assists those in immigration detention in the UK, is taking legal action against the British government in an attempt to pressure it into designating security company G4S as a ‘High Risk’ strategic supplier in the wake of ‘catastrophic failings’. The launch of the campaign comes after the BBC’s Panorama programme Undercover: Britain’s Immigration Secrets, which aired late last year, exposed serious failings on the part of G4S in its running of the Brook House Immigration Removal Centre (IRC). These failings included the mistreatment of detainees by staff, a widespread culture of disrespect and the falsification of incident reports in order to cover up conduct. Panorama’s exposure of Brook House IRC is the latest in a long line of allegations involving G4S in the running of detention facilities, including the very similar allegations made against staff at Medway Secure Training Centre in January 2016. 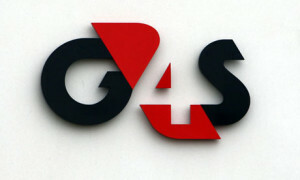 Under current government policy, a ‘Strategic Supplier’ can be designated ‘High Risk’ if there is ‘evidence of repeated concerns regarding underperformance and mismanagement in the delivery of the services they are contracted to provide’.‘High Risk’ designation would mean that G4S’ existing contracts with the government would be subject to closer monitoring and review. It would also make it harder for the government to award G4S contracts in the future. You can contribute to the costs of the legal challenge here.